Installation and Setup instructions are also available in the Installation Instructions document, downloadable from the Documentation section of the Resources. Here are more details on installing each of these three components. Download and run the setup program to install Scripture App Builder on your computer. 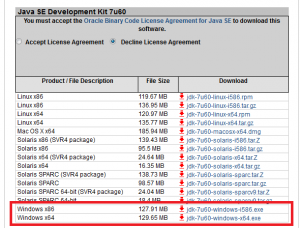 The latest version of the JDK is version 10, but you will need to use JDK version 8, not version 10. 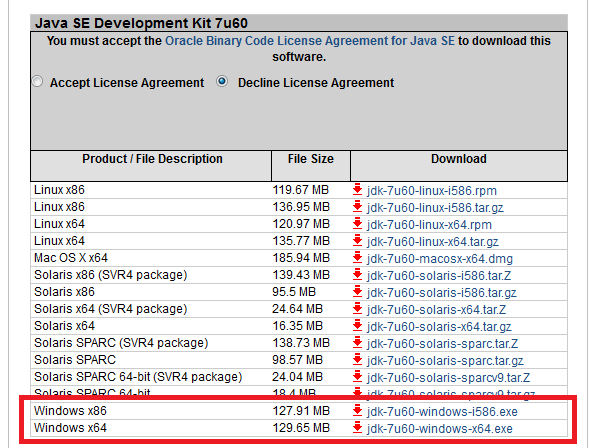 Go to the Java SE Development Kit 8 Downloads page. There are many download files on this page. You are looking for the download that corresponds to your computer’s operating system. Find the Windows x86 download if you are using 32-bit Windows. Find the Windows x64 download if you are using 64-bit Windows. You’ll need to accept the License Agreement before you download. When the file has downloaded, run it to install the JDK on your computer. This will normally be installed into the C:\Program Files\Java folder. To install the Android SDK, you need the basic Android command line tools rather than the full Android Studio installation. A. Download and install the basic Android command line tools. B. Download and install additional packages from within Scripture App Builder. Scroll down to the bottom of the page, where you will find a section titled ‘Command line tools only’. If you find the ‘Android Studio downloads’ section, scroll down a little further. Download the latest sdk-tools package for Windows, e.g. sdk-tools-windows-4333796.zip. The file is around 149 MB. Before downloading, you will need to click to confirm you agree with the terms and conditions. When the file has downloaded, unzip it to a new folder on your computer, such as C:\sdk. When the file is unzipped, the C:\sdk folder should contain a single sub-folder named ‘tools’. You do not need to run any setup program here. Select Tools > Settings from the main menu. Go to the Android SDK tab, which is the second tab. Enter the Android SDK Location by clicking Browse and navigating to the SDK folder which you have just created. If you followed the suggestion above, this will be c:\sdk. If the Android SDK location is valid, you should see the version of the Tools package displayed in green. Click Install Packages… to begin downloading and installing the three packages that are “Not Found” (Build tools, Platform tools and Platform API). You will need an internet connection. Type y (for yes) followed by Enter to agree with the license agreement. Depending on the speed of your internet connection the downloads might take some time. There are over 230 MB of files to download. As each of the three packages are downloaded, you should see a series of messages, concluding with “…complete”, “…finished” and “done”. you do not have enough space on your hard disk. If the installation of a package has failed, make sure you have an internet connection and enough hard disk space. Then click Install Packages again. When all of the required packages have been installed, click Check Installation. A message will appear listing the packages that have been installed. You should see the version numbers displayed in green. The Android SDK has now been installed for use by Scripture App Builder. To build your first app with Scripture App Builder, follow the instructions in the first chapter of the document Scripture App Builder – 2 Building Apps. When I try to launch Scripture App Builder, I get the message “Could not find the main class… Program will exit”. This might be because your computer is running an older version of the Java Runtime Environment (JRE). Scripture App Builder requires at least Java 8. Earlier versions of Java are no longer being supported, so it is a good idea to upgrade your Java installation for security reasons.